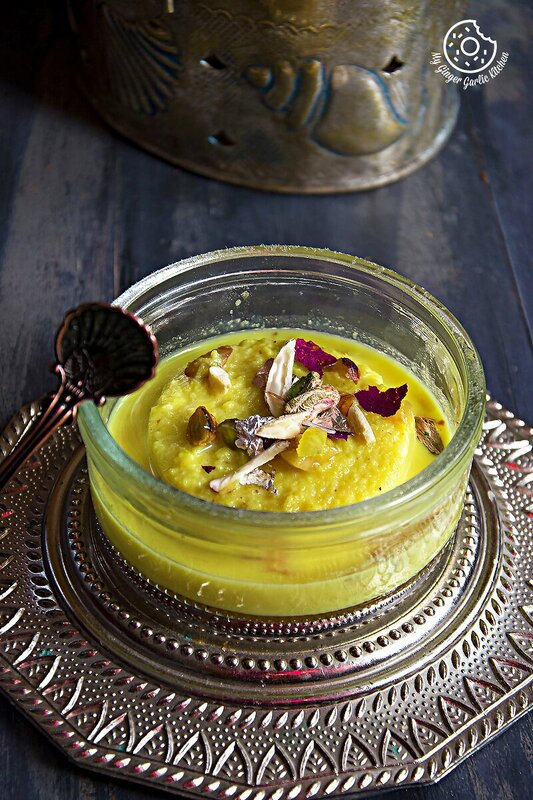 Instant Bread Rasmalai | इंस्टेंट ब्रेड रसमलाई is the tweaked version of traditional Rasmalai. Instead of cottage cheese balls, bread slices are used for soaking in saffron flavored thick milk. Happy Monday Buddies. How was the start of your day? Mine was pretty hectic. It’s because we had an early morning parents teacher meeting in Adoria’s daycare. After that meeting, Abhishek and I decided to head for some coffee before we starting work. We found a new cafe which opened only a couple of months ago. So, we went to this newly opened cafe near our home and had some awesome morning chat with a warm cup of coffee and some cookies. Isn’t it strange how mornings go really swooshing on some days. On such days, we are already done with most of the important things on that day by the time it is 10:00am. I am having the same feeling today. So I can say that with that morning coffee, I had a sweet start of my week and thus I am here with a sweet thing to share with you. The name of today’s dish is Bread Rasmalai. 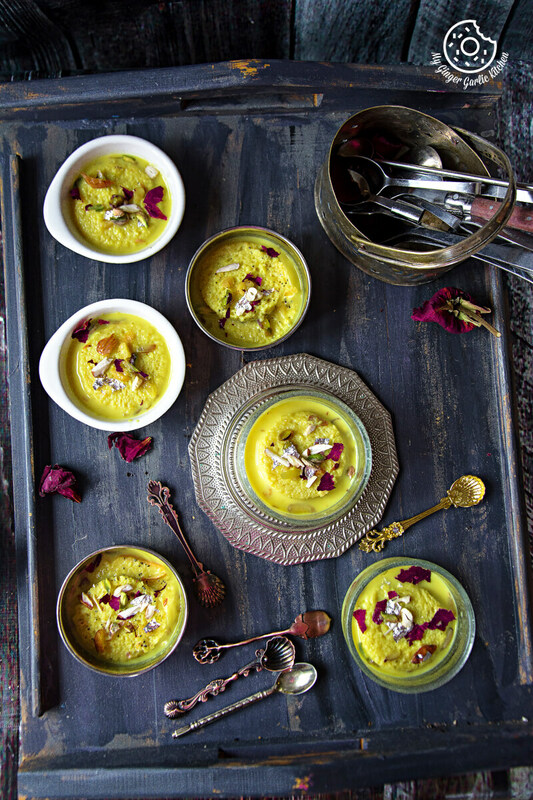 Rasmalai is a very popular Bengali (Indian) dessert. ‘Ras’ (रस) means juice and ‘malai’ means fresh cream. 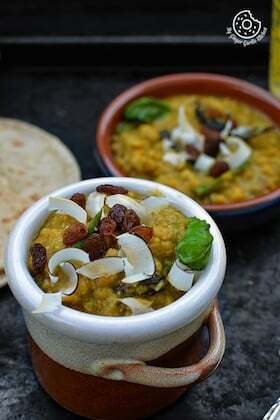 In this dish, ‘Malai’ ( मलाई ) is flattened cottage cheese balls cooked in sugar syrup and then later soaked in rich thick and creamy milk syrup known as ‘ras’. 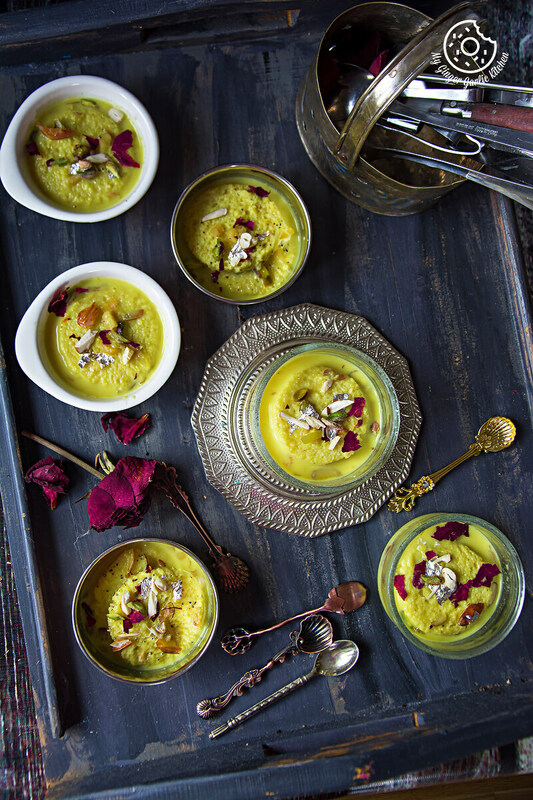 Bread Rasmalai is the tweaked version of traditional Rasmalai. Instead of cottage cheese balls, bread slices are used for soaking in saffron flavored thick milk. It’s then garnished with chopped nuts. I love Rasmalai like anything and bread Rasmalai has become one of my favorite sweets for the past few years. One of the primary reasons for this is that making it is much faster and fuss-free. And it tastes really good. 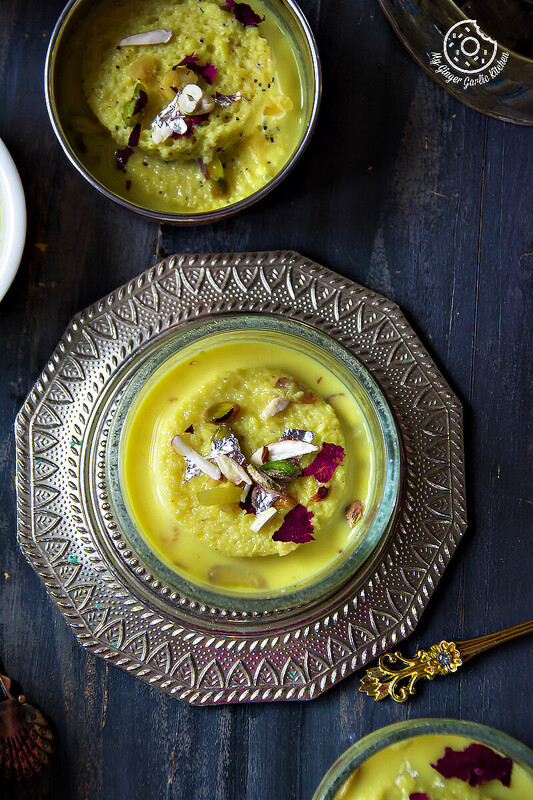 When you have guests coming over and you don’t have much time for cooking then this version of Rasmalai comes to the rescue. 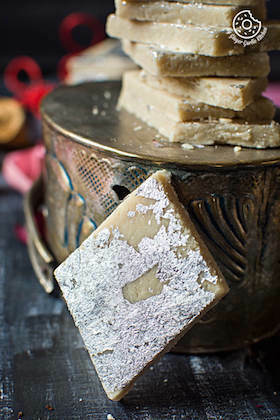 So all I want to say that it is one of the best Indian sweet desserts which comes really handy.If you have the bread slices ready then this dessert is ready in 30 minutes. This dessert will earn you praises for sure. 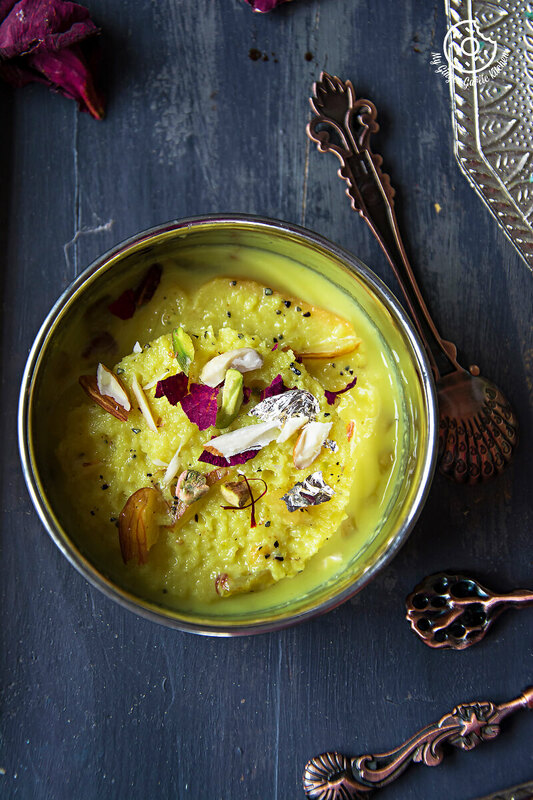 Why should you try this bread rasmalai? Well, there are a few reasons. 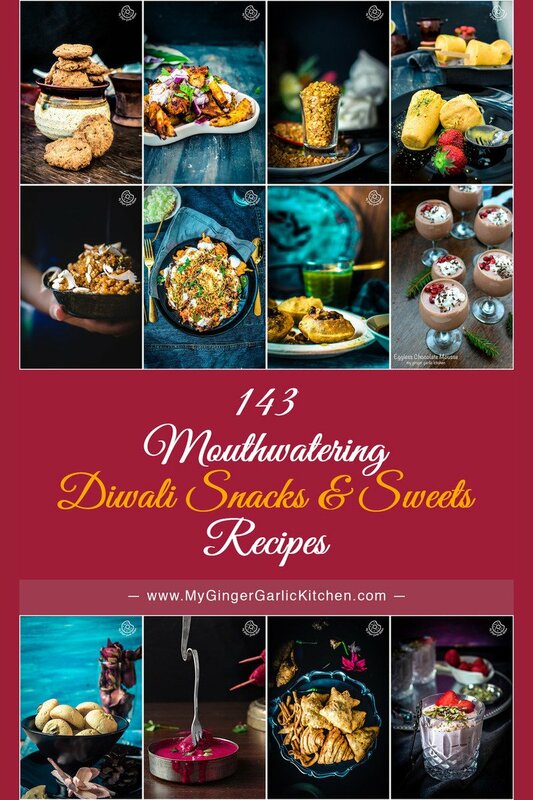 First, you don’t have time to make paneer but still want to eat Rasmalai. Second, you want a fusion dessert. 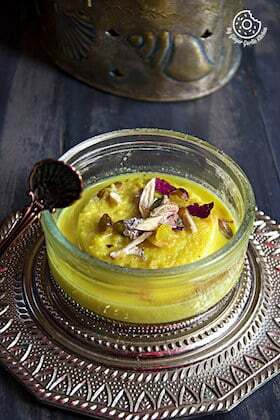 Third, you are looking for a quick dessert which is suitable for a potluck. 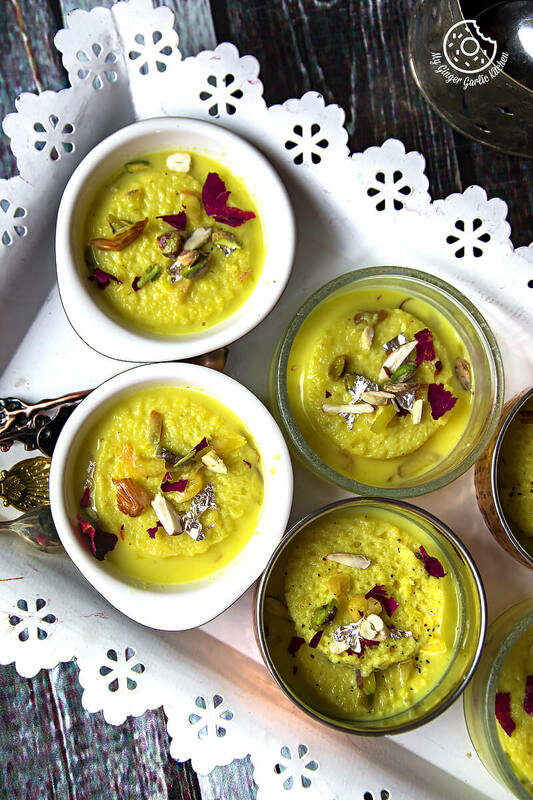 You can serve this dessert warm or chilled. The Bread slices would start absorbing the milk and would become soggy after a while. So, I would recommend adding the bread slices 2 minutes prior to the time of serving. 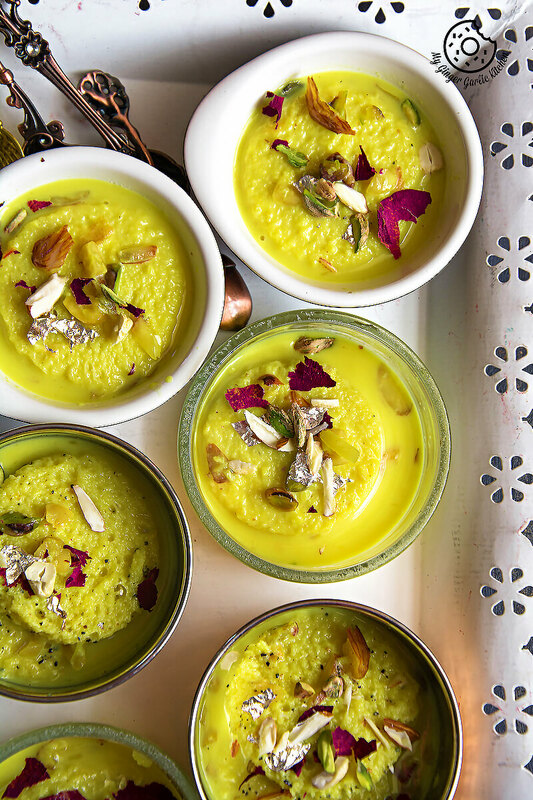 Instant Bread Rasmalai is the tweaked version of traditional Rasmalai. Instead of cottage cheese balls, bread slices are used for soaking in saffron flavored thick milk. 1. Heat milk a pan. 2. Boil it for 5 mins. 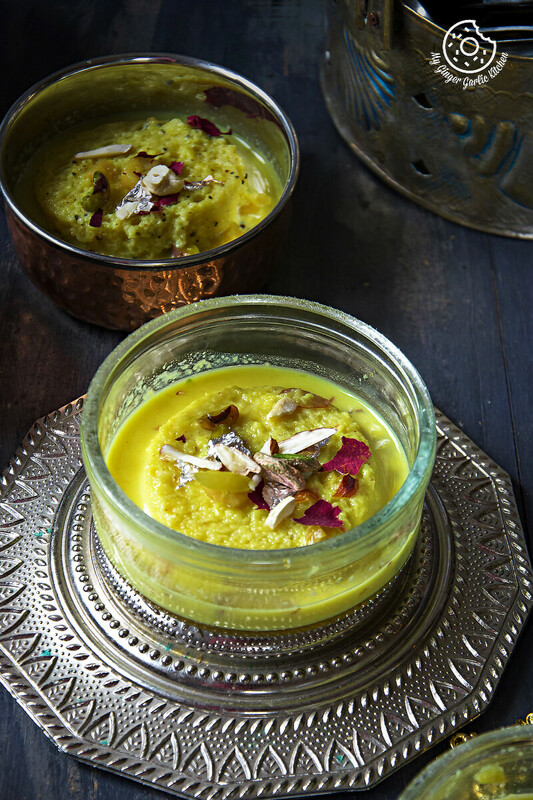 Crush saffron strands along with 1 tbsp milk. 3. Add this to milk and boil it till it reduced to half. Keep stirring occasionally. 5. Now add cardamom, chopped nuts and boil for 5 more mins. 6. 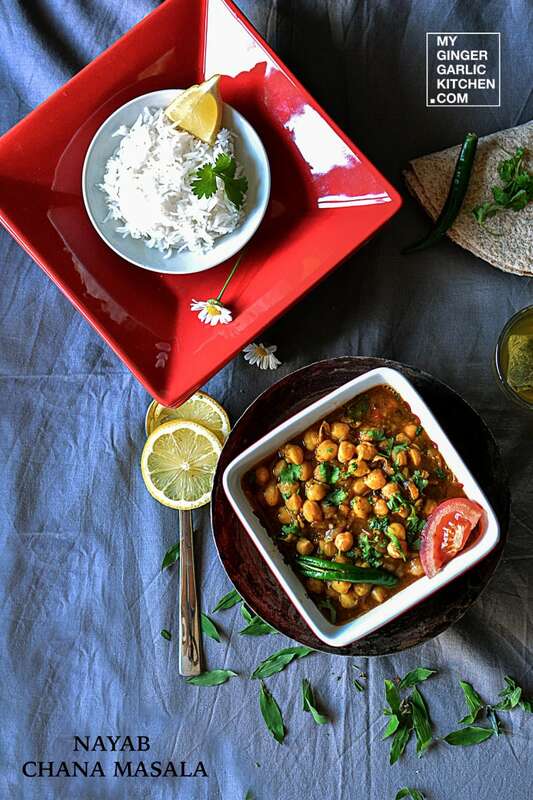 Turn off the heat and add rose water. Let it cool slightly. 7. Refrigerate ras for 2-3 hours if you want to serve chilled. 8. Cut the bread slices into round shape using a cookie cutter. 9. Soak bread slices in milk for a minute. 10. Transfer into a serving plate. Drizzle some more ras on top. 11. 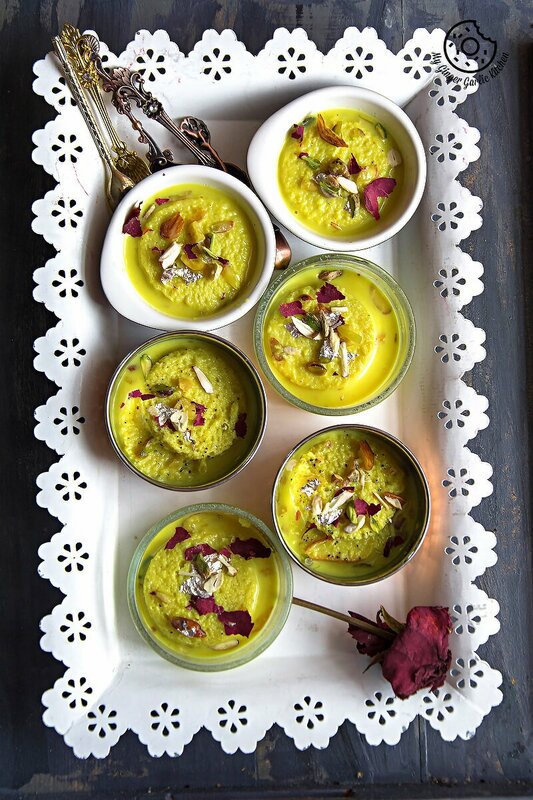 Garnish with chopped nuts, saffron strands and rose petals.